I met my wife over 10 years ago and we’re polar opposites when it comes to organization. My wife makes a list for *everything* she has lists of lists about lists she needs to add to lists. I, on the other hand, did not make lists. I kept everything in my head allowing my brain to naturally select the most important and, frequently, the most time sensitive item. Things changed a couple of years ago when I started my own company. I realised keeping things in my head wasn’t sustainable. 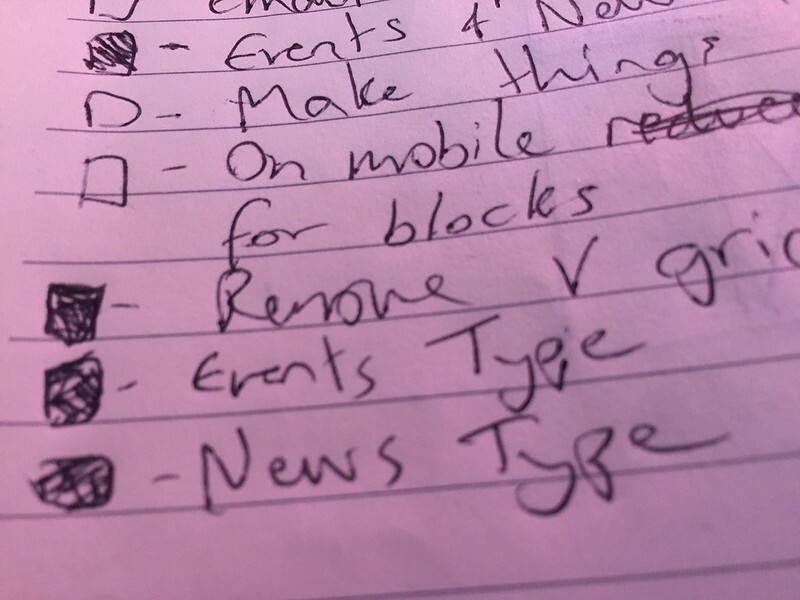 So being a technolover I set out to find some software that would consume my ideas and to-dos and magically organise them for me, giving me a wonderfully simple output. I tried Evernote, Wunderlist, Trello and Things among many others. I even tried a semi-DIY approach using Todo.txt and Dropbox to sync. 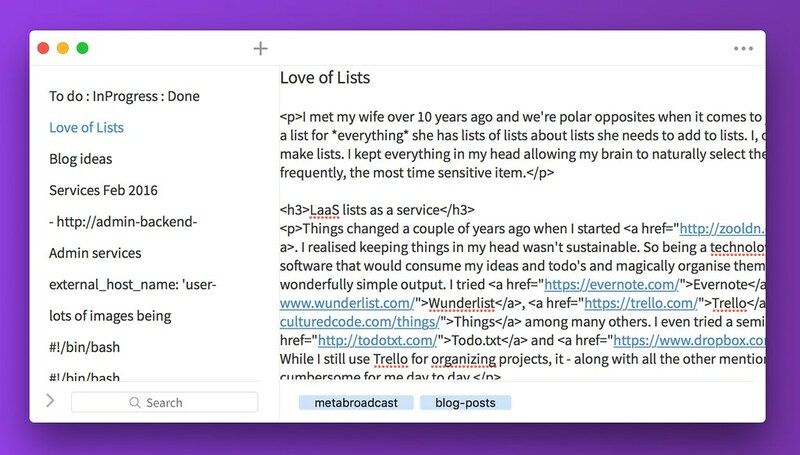 While I still use Trello for organizing projects, it – along with all the other mentioned software – was too cumbersome for me day to day. After a year of trialling different software, a designer friend of mine – also called Luke – inspired me to move away from a screen. He makes his own note books – physical pieces of paper stapled together. 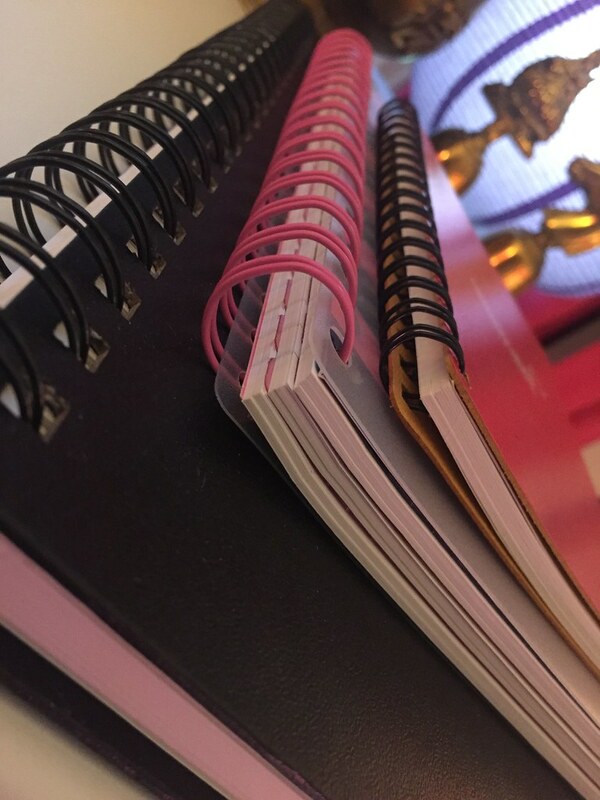 When he’s finished a notebook he writes the date on the front and archives the full dated notebook to his ever expanding collection of 80+ previous notebooks. While I wasn’t going to start producing my own book I did like the simplicity and creativity he displayed using a notebook. It’s been about a year since I started using a notebook and the way I use them has evolved from simple notes and to-do lists – with ‘done’ / ‘not done’ indications – to doodling, which I find to be one of the most valuable parts of a notebook. Now I look forward to the prospect of a new notebook – will I get graph paper or ruled? All this being said, Steve recently introduced me to SimpleNote that I use across my phone, laptop and the web for longer form ‘code’ related notes and blog posts, grouped by tags. the pursuit of metappiness: when the girls are alone, they party!